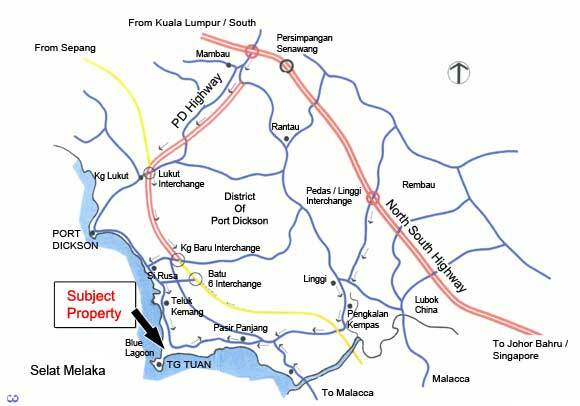 The subject property is located off the 8th mile of Jalan Port Dickson. This area of the beach is among the more popular ones as there are many long established budget resort here. The land is separated by a road as with all the other resort here. View of the beach in front of the subject property. There are many sport activities here and many temporary stalls offer rental of sport equipments here too.